There are a million ways to use lemon! From our drinks to food to household hacks. Common modern trends include adding lemon to your water or replacing salad dressing with fresh lemon. But did you ever think about the magical wonders the properties of lemon have in your kitchen or common areas? You’ve probably never thought about these creative lemon uses. Step outside the cooking scene and find tons of different lemon uses, like a natural alternative to cleaning products and chemicals. Use lemon to highlight your hair, brighten your skin, or deodorize a stinky stench. Pamper your life with lemon and I bet you’ve never felt fresher. 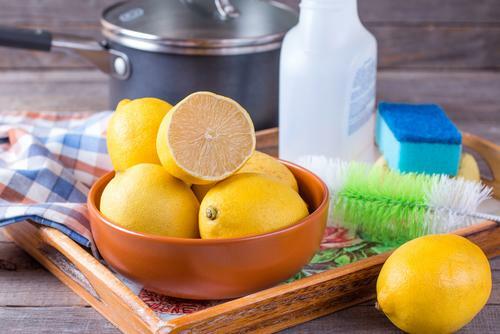 Lemons can disinfect, deodorize, sanitize and sterilize every area of your life! Lemons aren’t just for zesting and flavor-enhancing. There are a variety of lemon uses for every area in your home. From sanitizing your kitchen to cleaning the cutting board, lemons can be used everyday and everywhere! Check out thirteen creative lemon uses for your household. Avocados, apples, or pears will start browning after being cut open due to the polyphenol oxidase which acts as the plant’s antibacterial defense. But it doesn’t look very appetizing to us when the inside of our fruit turns brown. That’s because the polyphenol oxidase is reacting with the oxygen in the air. However, lemons are high in ascorbic acid (Vitamin C) and low in pH, which helps combat the fruits from browning. 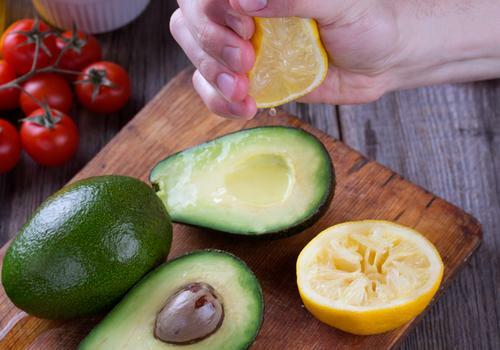 Squeeze some fresh lemon juice on the open areas of the fruit of the apple, pear, avocado, or even the topping on guacamole, and watch your batch stay fresher longer. Headaches, Hit the High Road! Potassium deficiency is a key reason for the onset of headaches and migraines. Lemons are a great source of potassium, and when combined with Himalayan sea salt, this perfect pair relieves tension and hits headaches to the high road. Fresh lemon juice and Himalayan sea salt will not only stop those stubborn headaches, but it can help keep other ailments at bay. The mixture balances the body’s alkalinity levels, lowers blood pressure, improves circulation, and increases hydration. Drink up! If you’ve ever taken the trash out and still find a lingering smell, it could be coming from your garbage disposal. One of the easiest, greenest, most versatile ways to deodorize your disposal is likely already in your refrigerator. Have you just juiced a lemon and need to dispose of the rind? Pop it down the sink, give it a grind, and smell the citrusy aroma fill the air. Buying organic produce isn’t always possible. So how do we eliminate those lingering pesticides and parasites on our fruits and vegetables? Instead of falling for the commercial brand of chemically-loathed produce wash, try the natural alternative. The high level of acidity in fresh lemons inhibits bacterial growth without compromising your health. 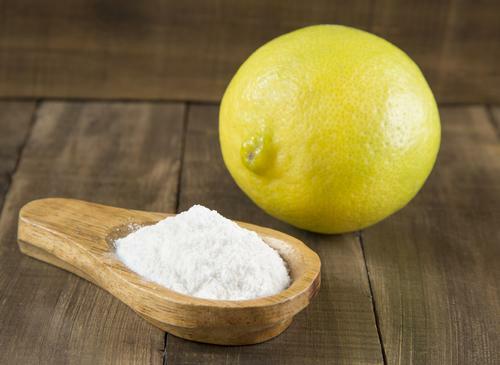 One tablespoon of lemon juice and 2 tablespoons of baking soda mixed in 1 cup of water is the perfect solution. It’s the cheapest, cleanest, and less likely to leave an aftertaste disinfectant. Save your leftover lettuce with this quick and effective trick! If you’ve forgotten about that head of lettuce sitting in the fridge or you couldn’t bear parting with last night’s take-home salad, bring back to life your wilted lettuce with a little lemon magic! Chrome and Brass have found their way back into our homes as decorative fixtures and accents throughout the interior. Yet as with everything that ages, chrome can lose. And although we haven’t found the cure for aging humans, we’ve uncovered a remedy for brightening up brass and illuminating the chrome in your decor! The juice of a little lemon and a teaspoon of baking soda will painlessly restore the loss of life in your brass and chrome. Microwaves can accumulate loads of filth from splattering sauce and overheated meals. Surely it’s nobody’s idea of fun to clean, but it can be more of an easy fix than a scrubbing hassle with the right tools in mind! You won’t need a scouring pad or harsh chemicals for this quick clean-up. Fresh lemon slices set in a bowl of water that’s been heated right in the microwave itself will act as a steam-clean bath that allows for an easy wipe-off afterward. Many of us suffer sensitive skin and steer clear of those abrasive face washes. But the acne gods themselves attest to the wonderful powers of lemon for skin care. It’s been found to be quite an effective and natural treatment for acne, blemishes, and oily or clogged pores. 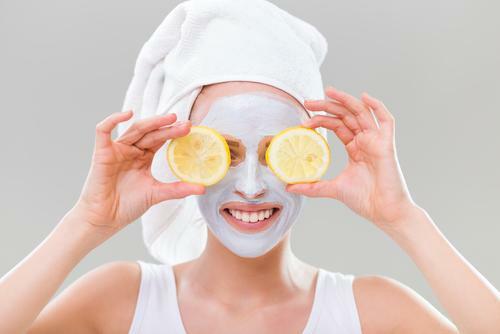 Although us sensitive skin folk find the fresh lemon remedy more tolerable as a diluted solution, it still might be worth giving it a try as opposed to overpriced skin care products. I think it’s safe to say every mom loves a good manicure. Unfortunately, it’s not always within our reach being less cost-effective or the timing just isn’t right. But that’s why I’ve brought to you a miracle manicure soak with none other than the star of the show, the lemon! This DIY remedy helps clean the nail beds, shine cuticles, promotes nail growth, and can be made with ingredients already in your kitchen! This will leave your hands with that salon, post perfect manicure feel. Whether you drink lemon beverages, eat lemon cuisine, or clean with lemon in your living areas, this magical fruit has been a savior in every household. Its anti-inflammatory properties aid in our family’s health while its natural but tough cleaning features help keep our houses clean and sanitized. Fresh lemons come to our rescue in every avenue of life, so be sure to keep them stocked in the fridge and remember all the lemon uses possible!